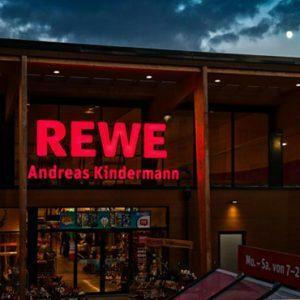 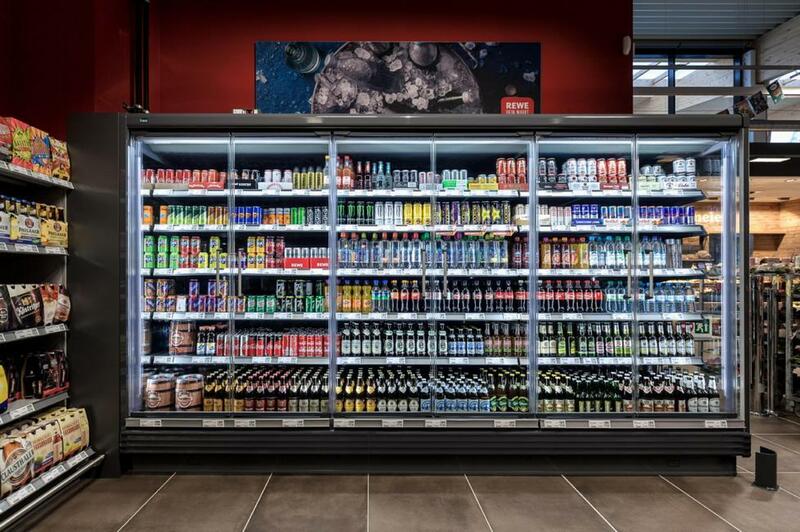 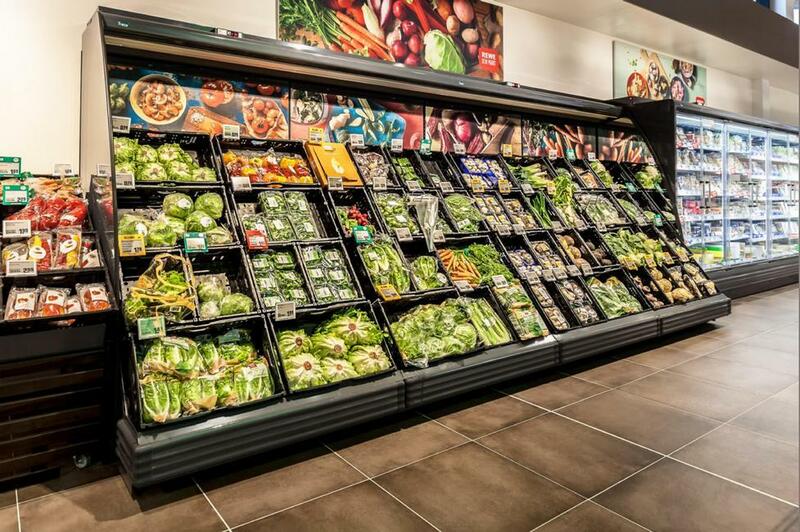 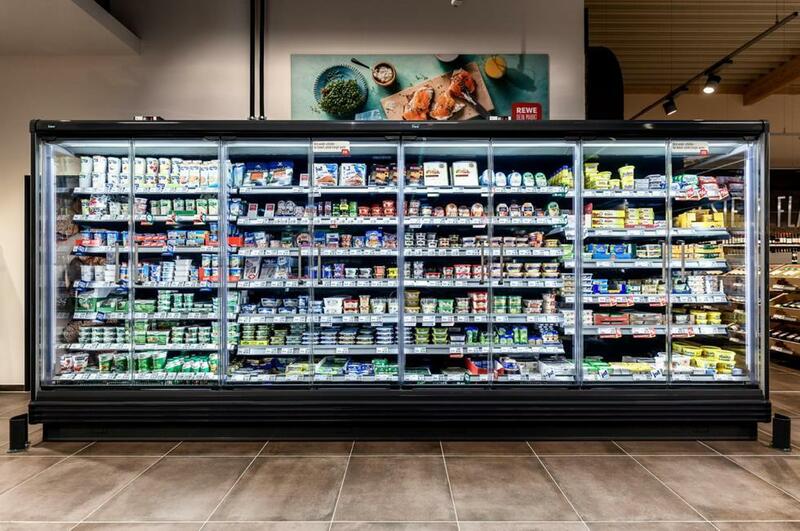 We are proud to share one of our prime refrigeration projects with you – the REWE Andreas Kindermann supermarket in Pfarrkirchen City, Germany. 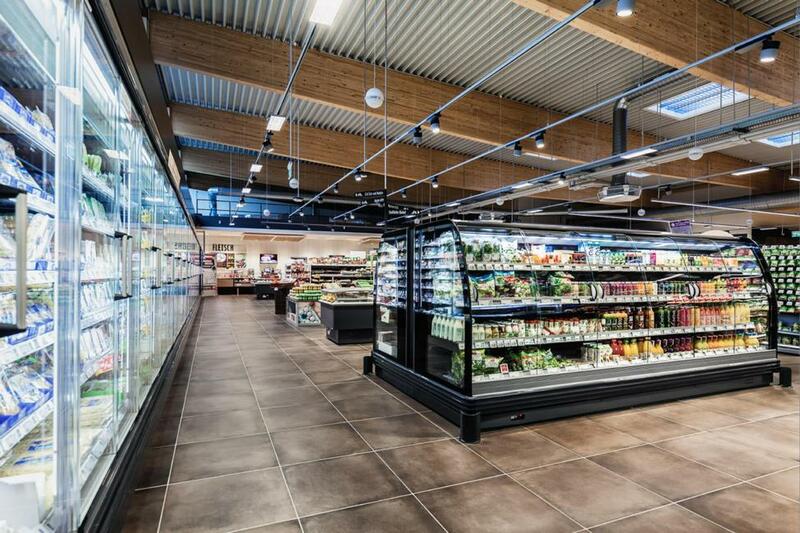 With the supervision of our long-term partners InMotion, some innovative solutions were implemented that have been working there successfully to this day. 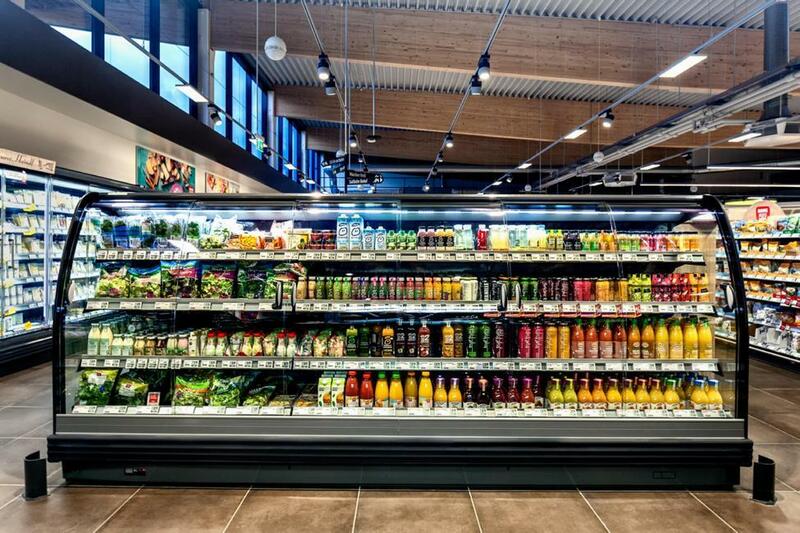 The refrigeration section of the REWE Andreas Kindermann supermarket (trade area: 2166 m2) operates on CO₂ refrigerant in the central refrigeration system. 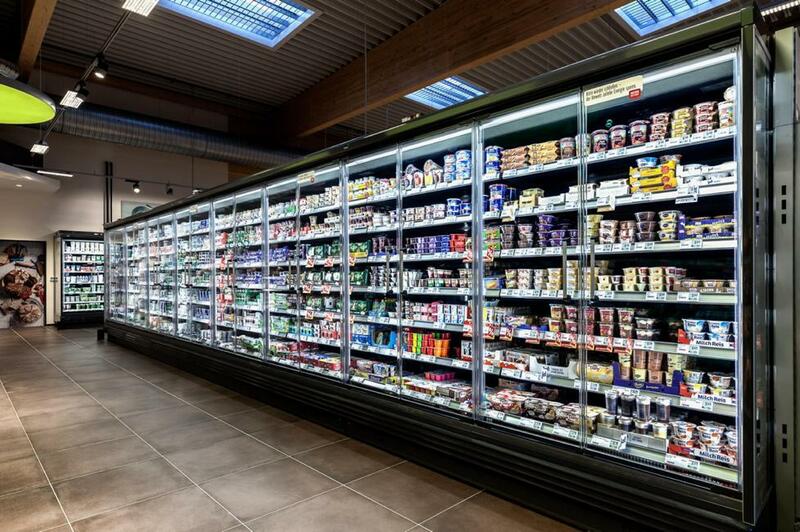 The decision to implement this solution was based on the high system performance results from similar projects and the specific characteristics of the R744 refrigerant, such as a zero environmental footprint in case of leakages, which is an essential point with regard to EU F-gas regulations. 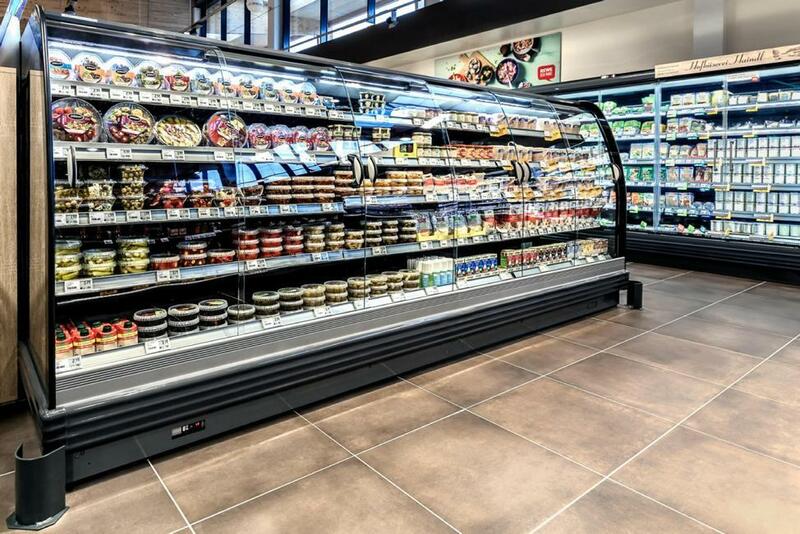 JUPITER multidecks with illuminated, anti-reflected, frameless glass doors – guarantee a panoramic, clear view and product presentation at its best. 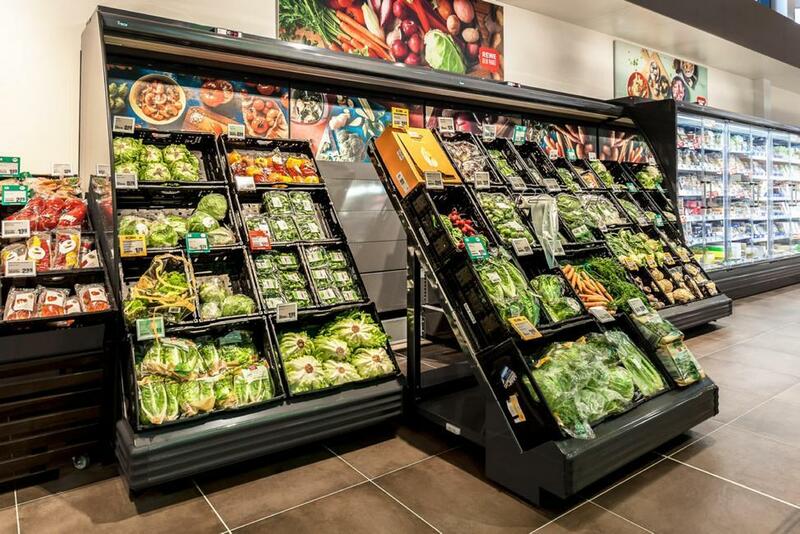 New JUPITER VISION F&V ROLLER multidecks, specially designed according to the client’s needs – these refrigeration cabinets for fruit and vegetables enhance freshness and facilitate the loading of the produce by including a wheeled inner rack for easy mobility. 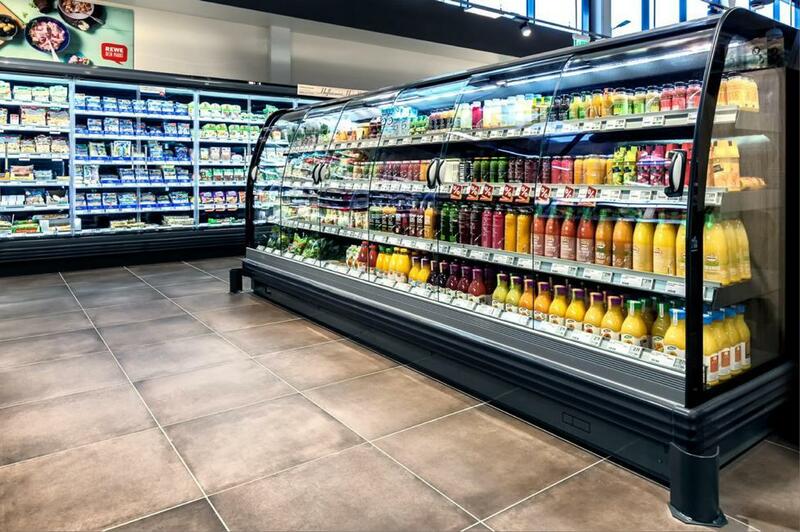 PLUTON SPACE semi-verticals formed into islands – a trustworthy choice for displaying dairy products, beverages or take-away meals. 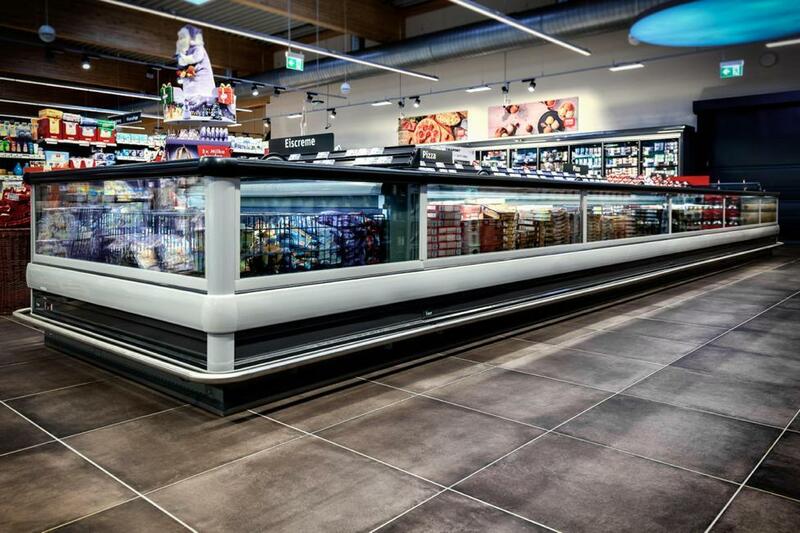 ERIDA verical freezers cabinets formed into lines. 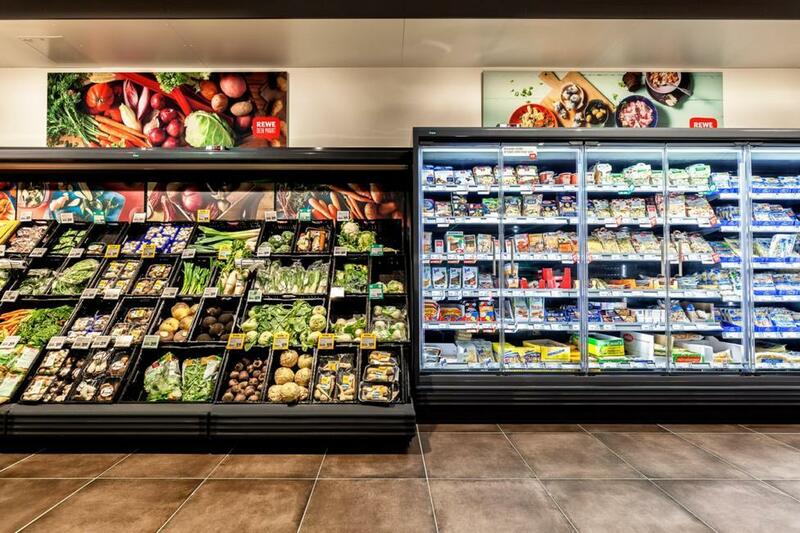 HELLA horizontal freezer islands with an innovative Gravity Defrost System to minimise the impact of the defrosting process on the general refrigeration performance. 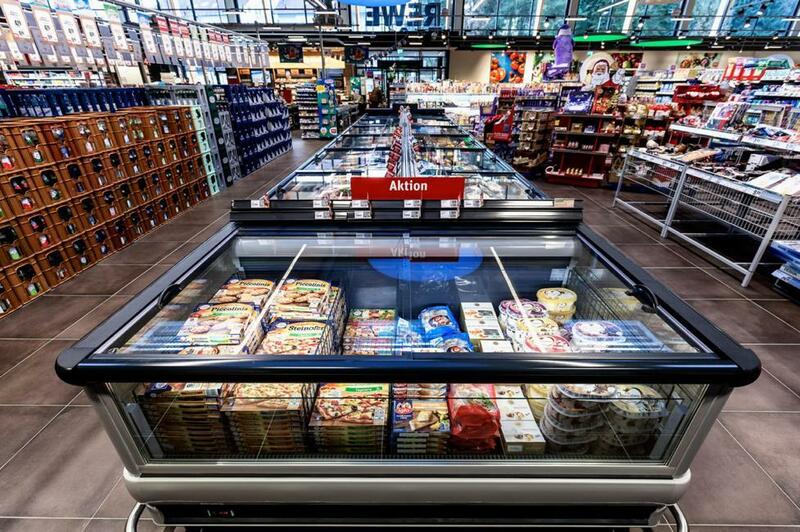 For the first time, the Gravity Defrost System installed in the HELLA horizontal freezers was presented. 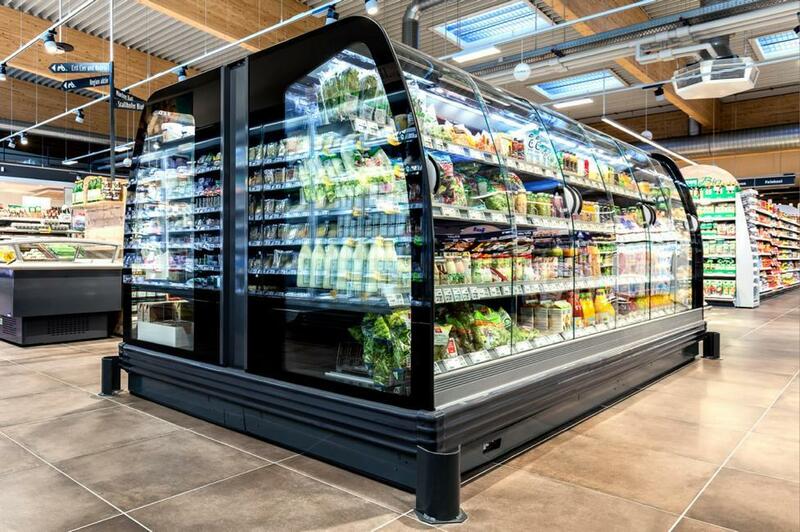 This unique system minimises the heat gain and temperature fluctuations in the inner space of the refrigerator while the defrosting cycle is on, and reduces its running time to a minimum. 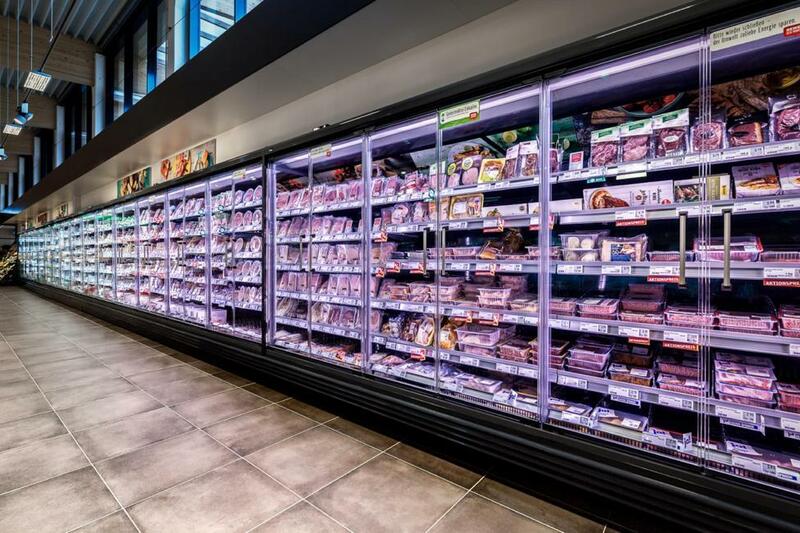 The key to this result is the door, which isolates the evaporator zone of the freezer and closes the air passage, preventing hot vapour from passing into the product storage space. 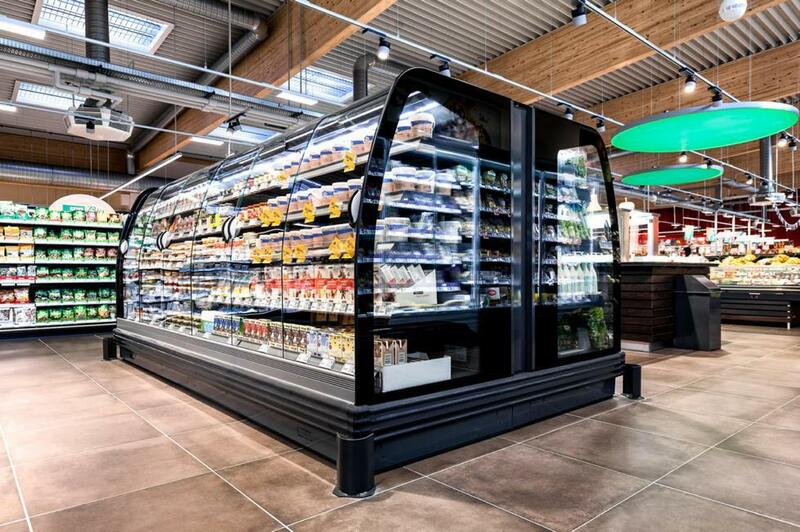 The system does not require an electric motor. 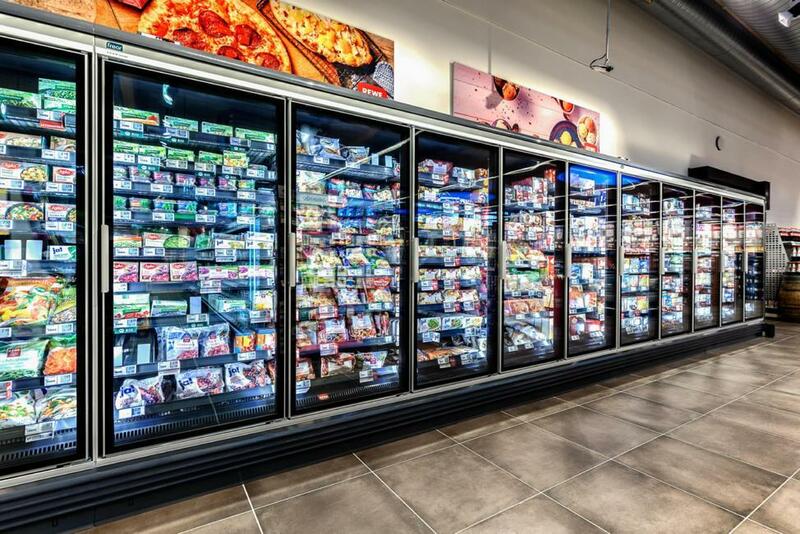 More information about the Gravity Defrost System is available here.